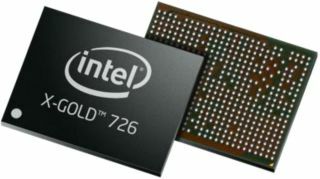 Intel has introduced a new baseband modem called the XMM 7260, its third, only three years into its LTE programme. This is a significant improvement on last year’s LTE-capable XMM 7160 which was featured alongside an Intel processor on Samsung’s Galaxy Tab 3 10.1, the first major win for the Santa Clara-based semiconductor manufacturer. The new modem will supports downstream speeds of up to 300Mbps as a CAT 6 platform and is a one-solution chip (or single chip, multi-mode RF transceiver as Intel puts it). Networks globally are deploying CAT 6 technology which means that more LTE-Advanced announcements can be expected in 2014. Intel is pitching it as a product that can deliver Carrier Aggregation (CA) on one piece of silicon. More specifically, it can offer up to 23 CA combinations and is flexible up to 40MHz, something which reduces dramatically the opportunity and real costs of implementing LTE in any given design. CA allows operators to gather additional bandwidth for higher data transfer rates or to use the disperse spectrum in a more effective way to boost download speeds. The XMM 7260 also supports more than 30 3GPP bands, 22 bands simultaneously on one SKU and all major global modes (LTE FDD/TDD, WDCMA/HSPA+, TD-SCDMA/TD-HSPA/EDGE). Intel expects the first products based around that new SKU to be launched within weeks with traditional partners like Lenovo (and Motorola), Asus and Dell likely to adopt this solution. Check out the TechRadar Pro Mobile World Congress 2014 hub page.